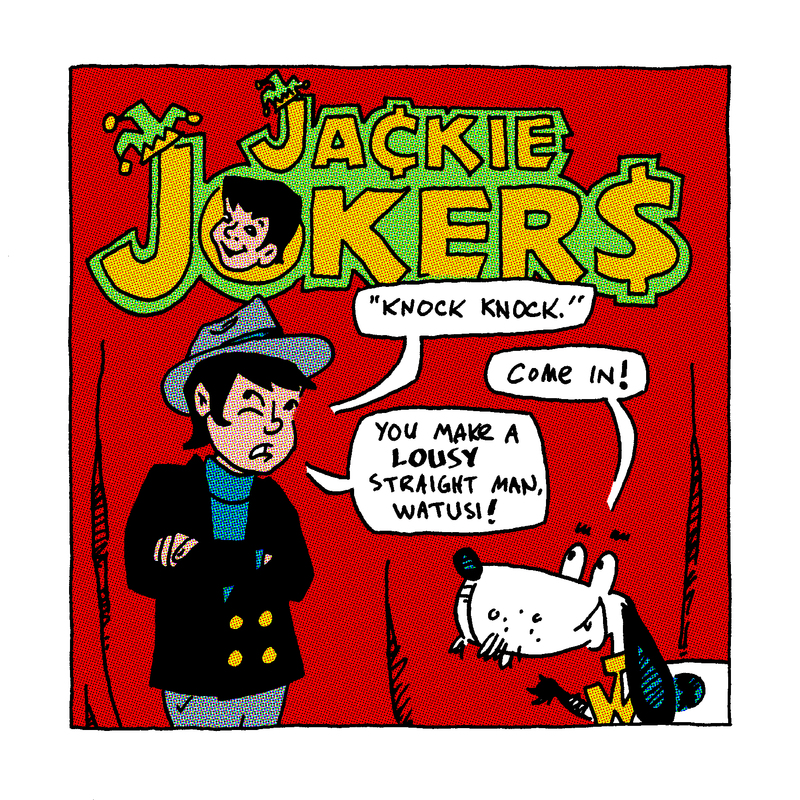 It’s “Draw Jackie Jokers Day”! My friend Tom Cherry is at it again, this time with an impromptu drawing holiday featuring Richie Rich’s comedian pal. While I didn’t have much familiarity with Jackie Jokers as a character, after seeing others join in the fun I thought I’d see what I could come up with, and just how fast I could do it. Gag, pencils, and inks took about 15 minutes, with about another 45 to do the cleanup and coloring. The thing that really appealed to me from the inspiration pieces Tom posted was this version of Jackie’s logo. Even in my quick hand-drawn version, it’s obvious that the title is linked to the Richie Rich family of books while standing on its own as a solid comic book logo. There have been a lot of weak comic book logos lately, including many of “the new 52” logos from DC. The Flash, Men of War, and Justice League logos strike me as especially uncreative, looking more like last-minute typography class projects than the professionally designed logos that major comic book properties deserve. They stand in stark contrast to the logos that were so iconic they were largely left alone, particularly those for Superman, Superboy, Supergirl, Action Comics, and Swamp Thing.